Starting October 1st for Super 8!! So excited! 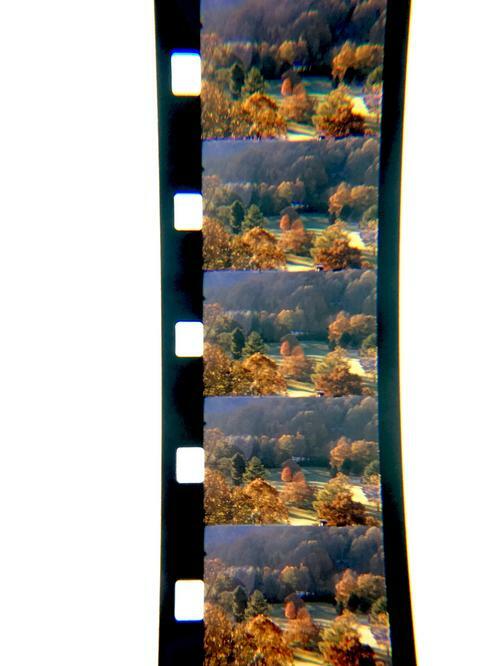 KODAK EKTACHROME 7294 Color Reversal Film is back! Finally! With some luck we should have 16mm by 2020! Ya sadly silent on the camera front.... Wondering if they're just going to drop it completely. Which is odd considering they made a decent amount of demo videos with it and that skate team. I mean it's out of my price range anyways but still would be good to see. You'd think there would be plenty of decent used Super-8 cameras on the market. There are, but the cheaper ones with plastic gears are really pushing their shelf life...I wouldn't buy one of those unless it was $20 or under; I've had 6 of them fail in the last couple of years. The plastic won't last long once it gets used again. However, the better built ones like the Canon 814, Beaulieu's & such will still be great with a little tender love & care. It's a bit of a worry, with these old Super 8 cameras, as to how much longer they really are going to last. With the Bolex and similar cameras at least you know you've got metal parts inside. Recently, I filmed a wedding on a Canon 1014xls, which was my old camera, bought around 1981 or 1982 I think. For years my father had it, and didn't use it, then it got given to another family member and sat in a camera bag for decades. So, for the first time since about 1983, just the other day I got hold of it, put batteries and a roll of 50D in it, and plonked it on a tripod. There was no opportunity to run a test reel first. The bride appeared, and I pressed the run button. It made the familiar purring, whirring sound. And then maybe 3 seconds into the first shot the lit up word "END" started flashing in the viewfinder, a sight I hadn't seen for decades (it was rather interesting actually to see, a non-digital viewfinder display that I'd forgotten all about). The camera came to a stop and wouldn't go again. The bride was now already at the altar. No time to delay! I grabbed out the reel, banged it on my leg a few times, shook it in the air, then slammed it back into the film compartment and pressed the run button again. Success!! So will the camera ever jam again? I don't know, but at least it ran without problems for the rest of the wedding (two reels). We have looked at the two reels online, compressed and un-colour timed, and unfortunately some of the shots are out of focus. I think this is due to a large ball of lint that appeared in the side of the film gate, which was so large it pushed the film away from the gate slightly. I thoroughly cleaned the compartment beforehand and made sure to zoom in and focus carefully on all shots. However, despite that, it mostly came out pretty nicely. I prefer to shoot 16mm though. Just takes longer, with the manual exposure reading (and even the winding takes up time, too, with spring driven. With the turret, you have to shorten the winding lever). 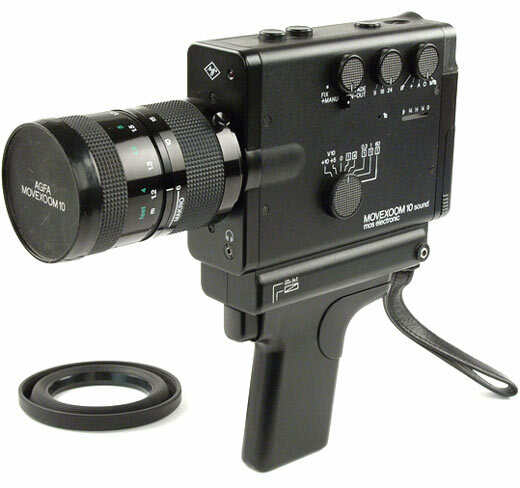 Thus, a Bolex SBM S-16 with zoom and an add-on electric motor is the ultimate 16mm camera in my imagination at the moment. That plus Ektachrome film and a great projector. What a dream. Just ordered a reel for myself! Cannot wait to start shooting on it. It's a bit of a worry, with these old Super 8 cameras, as to how much longer they really are going to last. I'm not too concerned as to their survival. They just opened a new development lab in NY and have done a good job rebranding Super 8 as hip and aesthetic. Their analog resistance campaign, while too slow for my liking, seems to be pretty successful so far. Would be nice to hear some news about the camera, though. I received mine yesterday. There's a limit of 5 per customer, they are $39.99 each, so best to buy more than one due to the shipping and tax costs which raises the per cartridge cost. I am hoping KODAK will sell Super 8mm in bulk version or perhaps in Double Super 8mm bulk so we can load our own cartridges. I'm sure with bulk film, we can bring the cost down. I was originally hoping the cost would be similar to the VISION 3 stocks, but it's much higher. This might be due to this initial production run. Perhaps once they do more, there might be volume discounts on 20 to 200 cartridges as in the past. Either way, still an exciting time for Super 8mm! Slightly off topic, but I did want to leave a response. They just released a bunch of new sew-on patches, one with the new camera on it. Can't imagine they'll drop the product if they are continuing to cross-promote it? Hoping they'll release it before the holidays. It might help if they eventually release a 2nd version of the camera, with optical viewfinder. But I will be sticking with 16mm I think, so it doesn't affect me. Had a message the new Ektachrome S8 is now out of stock. Has anyone got any footage back yet? I would love to see some more demo material for it. Here's a good test roll shot by Patrick Mueller. Shot in a bunch of different cameras including Nizo 801, Minolta XL401, and the Logmar. Curious color differences. Even more curious that the most affordable camera shoots the best and most stable images. The most expensive one, the famed Logmar, shows sideway unstableness. Like driving a car while texting :) Or must we assume this is from scanning? I just shot a roll of 7294 and 7285 on two different weekend trips and while I think I had a little better light for the 7285, I still have to say, I prefer the old stock. More contrasty and colorful. The new stuff actually seems to be a little under-exposed. Same camera btw. Think it needs a lot of light or to be exposed at like 80 or maybe 64. Just seemed dim whereas the 7285 was perfectly exposed. Perhaps it's just my projector but I ran them one after another. We'll see how the scan looks once I get it back. BTW I hand processed both at the same time with a Tetenal E6 kit in a Lomo tank. Also I was surprised at how poorly the 514XL did in that test. I think his camera must be off. Mine is very sharp. It's what I shot these two rolls with. But now it makes me want to bust out my MOVEXOOM10! Great images! Attached some still from the 7285 roll. Reversal film, I gather, doesn't necessarily scan 'so well' ("well" being perhaps a philosophical concept and open to personal taste) as, say, Vision3 negative film? I feel like walking on eggshells a bit here, not wanting to appear, er, negative, but one thing I've noticed, looking at a lot of digitised footage on the internet is that, even allowing for compression/downgrading to MP4 or whatever (I'm still a bit computer challenged just a bit when it comes to video, but improving), the quality of scanning from various 'places' seems to vary to a very large degree. I've seen some scanned Super 8 Vision3 on youtube that looks unbelievably stunning, and is the 'look' I'm after. I wonder if scanned Ektachrome can look as good. 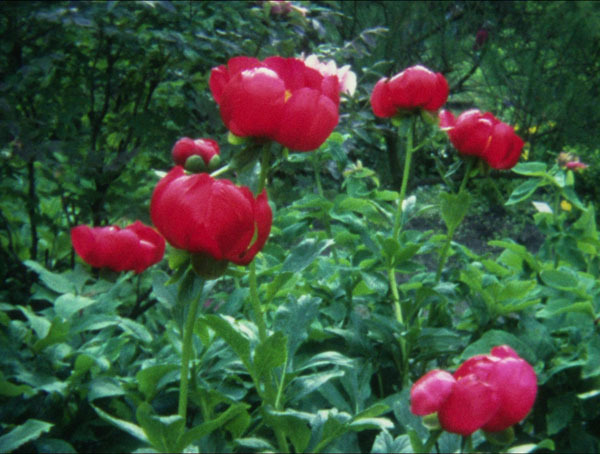 A few years ago I had an Agfa Movector under my hands, just by chance, and for fun I projected an 8mm film with it, a Kodachrome 25 original that I had shot another few years earlier. What I saw floored me, that Agfa projector had a Staeble lens on it and that lens put everything else aside. A friend of mine who collects lens data told me that the Staeble is a six-elements design. Never before had I seen such a sharp image, so rich of details, and contrasty. The revelation was like the one I had with a Schneider projection lens that I bought for a 16mm projector in 1995. Good projection is the fulfilment of filmmaking. I wonder whether Kodak is thinking of introducing a new Super-8 projector now that they have brought back Ektachrome and a new Super-8 camera—wait a minute—wasn’t there something with that camera??? Nice to read of people actually projecting films as this is what reversal was really made for. I've completed scanning up my 1960's home movies filmed with K25, yes simon it was amazing and once again we bemoaned the loss of that to K40. One of my films was a family Christmas all very colourful with dad in his glorious Santa costume. To my eyes if anyone is filming to later scan they should really be using negative which personally I love 50D which if scanned and post prod right looks up with 35mm. Using Pos yes we have the best of both worlds getting 'that film look' and projectable also being able to physically cut and splice which we still do here. The new Super 8 stock is the best reversal available today and the Leicina Special I used to run mine off produced steady images and sharp. The scan above is revealing in that the lens is the most important thing in your hands. My Dad when he worked in a photo shop a very long time ago was told by a pro photographer boss 'the most important thing on any camera is the lens'. Of all the cine cameras I have had since the 60's and many at that the Optivarion 6-66 lens on this camera is gorgeous in use, my second camera choice is the Nizo 6080 which is versatile with a decent lens. Most of my older dramas were filmed with it and entered into festivals back in the day. Fond memories..
PatheSuper8 Finished scanning my 1960's Super 8 filmed with a Pathe Super 8 camera, yes they made them as well. Here is a quick grab from that reel stood the test of time rather well and a very low cost cine camera back then. My Dad when he worked in a photo shop a very long time ago was told by a pro photographer boss 'the most important thing on any camera is the lens'. A typical photographer’s statement. Yet, there are a few elements of equal importance to the lens. One is flatness of the light sensitive surface and that’s a reason for the success of electronic sensors. They’re flat like glass plates. Films can behave a bit stubbornly, they go curly and warp. Then the photographic layer(s) must be brought into the focal plane, simply put, after the lens got focused on a ground glass or such. From this I feel free to say that a well adjusted camera with a triplet on draws technically better images than an expensive apochromat that’s lightly off. Let me sum up as it is the apparatus known and mastered by a person. The photographer whom your father met, however, is right in that the character of an image depends to a great extent on the lens. I call tell an image through a Petzval design from one through a modern lens, aperture wide open. If the camera does it's job the way it's supposed to, then of course the lens is the most important thing...excluding the camera operator of course. Keep in mind that the Super 8 format is inherently flawed in the cartridge design. My Angenieux f1.2 6-80 on my Beaulieu 4008 zm II anniversary edition makes beautiful images. If I could put lens that on my Canon 310xl I'd bet the image would be pretty close. There may be some steadiness issues that could be noticeable if you know what to look for, but for the most part it would look great. I can vouch for that Will as in the 80's I shot several K40's and everyone kept jamming. I sent the lot to Kodak and eventually they replaced them muting it was a bad batch.